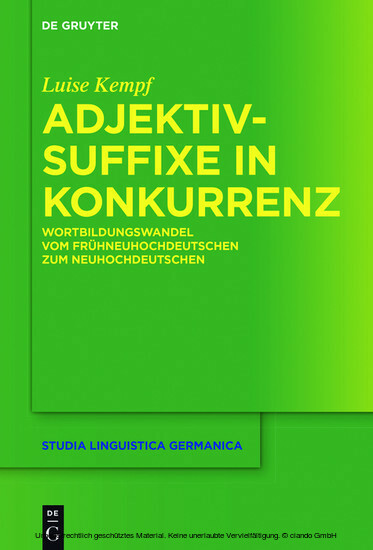 Based on a comprehensive corpus that spans five centuries, this study presents the major developmental lines of adjectival suffix derivation. Arranged according to the most important patterns (-lich, -ig, -isch), it reveals the precise modes of productivity and analyzes factors that promote the rise or fall of particular patterns in competitive structures. The author discusses the theoretical implications in the context of construction grammar. Luise Kempf, University of Mainz, Germany.